Ever wanted to listen to an Argentinian radio station? What about one from Ireland? Sydney? 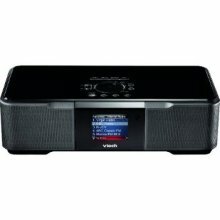 Maybe you just want to stick to your Taylor Swift and call it a day, but I'm sure your gadget hungry friend (or should we say "friend") would think you oh so thoughtful if you purchased the V-Tech Internet Radio for them. In three easy minutes of set-up, this lightweight device can be configured to find your wireless Internet signal, time zone and zip code and soon you will be browsing ANY radio station around the world. Not from NYC and have a yearning for home? Tune your Internet radio to the station you used to sing out loud to in your car and you won't feel so homesick anymore. You could also setup your favorites, access music on any computer hooked up to your network and easily find your weather report. Can't think of anything to get that random girlfriend of yours (that you might not really like that much)? How about the solution to her horrid chapped lips. She'll think you're a genius and you won't have to shell out a lot of cash. Softlips is offering holiday gift packs of their newest lip conditioners: Sugar & Spice, Winter Mint, Sugar Cookie, Sugar Plum Berry and Mint with a Hint of Vanilla. 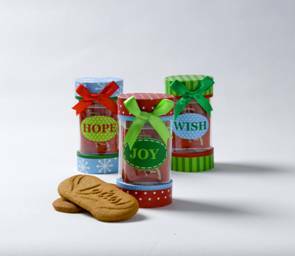 Individual sticks can be found at any drug store nationwide, but the gift pack is only available online and comes in a reusable pouch. Wine can be tricky. If you just want to get drunk, you're fine with the three-buck Chuck from Trader Joe's, but what if your Aunt Margaret is coming over for dinner and you know she only drinks Merlot from California. Problem is, you don't touch that stuff and couldn't tell your region from your terroir. "Good, Better, Best Wines, A No-Nonsense Guide to Popular Wines" by Carolyn Evans Hammond is a handy-dandy guide to the best-selling wines in North American by price. Complete with pictures and descriptions about each wine and what food it pairs well with, this book is a great gift idea for the wannabe oenophile. It would also be a great collection to your library if you want to brush up on your wine list ordering skills. This person in your circle IS Martha Stewart, hands down. They bake, they make Hallmark-worthy cards from scratch, hell... they could make a house out of match sticks. Give them the ultimate gift that gives back-- A Homemade Christmas. 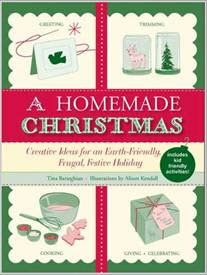 This book is choc-full of holiday DIY projects, recipes and gift ideas. And in these days of waste, it promises to be earth-friendly, can’t argue with that. Think about it-- we New Yorkers, natives and transplants alike, will trek and schlep through Times Square, Herald’s Square, and Union Square-- knowing damn well that it’s crowded. But we cannot resist the beauty, the necessity and the life that runs through public squares. 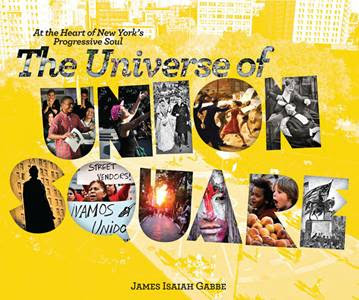 So what better gift than The Universe of Union Square: At the Heart of New York’s Progressive Soul, the book that documents the vibrant history and culture of one of NYC’s popular squares. Get it for your friend who cannot help but to eat, drink, shop or live in a “center of New York’s hustle and bustle.” For just under $30, they get 265 pages of beautifully documented history, pictures and interviews with city officials, activists and many others who made Union what it is today. Grab this at Barnes and Noble or your local bookstore and educate your bud a bit. Cookies make people happy, period. Make your foodie, boss, or co-worker smile with Biscoff cookies, “Europe’s favorite cookie with coffee!” These crispy, caramelized bits of holiday goodness are just 30 calories each and come in stocking-stuffer friendly tubes. Not only are they guiltless and adorably packaged, but come with an extra bit of holiday spirit-- Lotus bakeries donate 10% of each purchase to Teach for America (www.teachforamerica.org)! At $14.95 for SIX tubes (plus shipping), easily be the first on Santa’s nice list for 2011 with this holiday treat! Order online or request a catalog through www.biscoff.com. I disagree with the Softlips suggestion... nobody needs that many "lip conditioners" at once. If you only have ten bucks to spend and can't think of anything to give... don't give a "thing". Charities are really hurting this year. Give your friend $10 worth of charity gift cards and let them pick which charity gets it. Way better than dropping cash on something that's only a gesture, that'll get stuck in a drawer somewhere, or will be forgotten. $10 isn't much, but it's enough to feed a shelter animal or plant some trees or send food to hungry kids. WAY better than a five-pack of chapstick. www.tisbest.org for charity gift cards that are customizable (and you can send them as e-cards, as well, which is good for the environment).